Come on over to read about the huffy, puffy mess that was I on Saturday. if you use it on stupid people. I love reading Jennsylvania, and own all of Jen Lancaster's books (er, memoirs). I think that what I love most about her is that she just puts it all out there, but in a brilliantly funny way that only endears her to you more, even if she can sometimes be (she said it first!) an a-hole. A challenge! 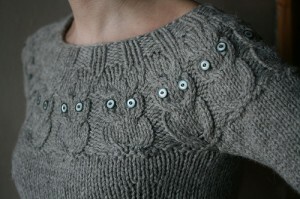 Darn Knit Anyway's 12 Sweaters in 12 Months is very enticing. While I won't be committing to all 12 sweaters, there were at least 6 of them that I'll be joining along for, starting with February's Owl sweater. It's been in my ravelry queue since I first started my account, so it's the perfect time to make myself take the plunge and just do it already. My other fave is the Francis Revisited sweater, I'm all about the cowls these days; They hide a multitude of sins! If you're interested, you just have to comment on her post and she'll set you up with what you need. And, in case you're wondering about my progress on Tree of Life, I need to do only a miniscule 22 rows per day in order to finish and have three days to complete the border; aye aye aye. There's gonna be a few late nights at the HP house. During a lazy Sunday morning, I was talking to my sister about running. She has always been a runner, and a good one at that, but hasn't laced up the sneaks in a few years and is trying to find the motivation to get back on the road. 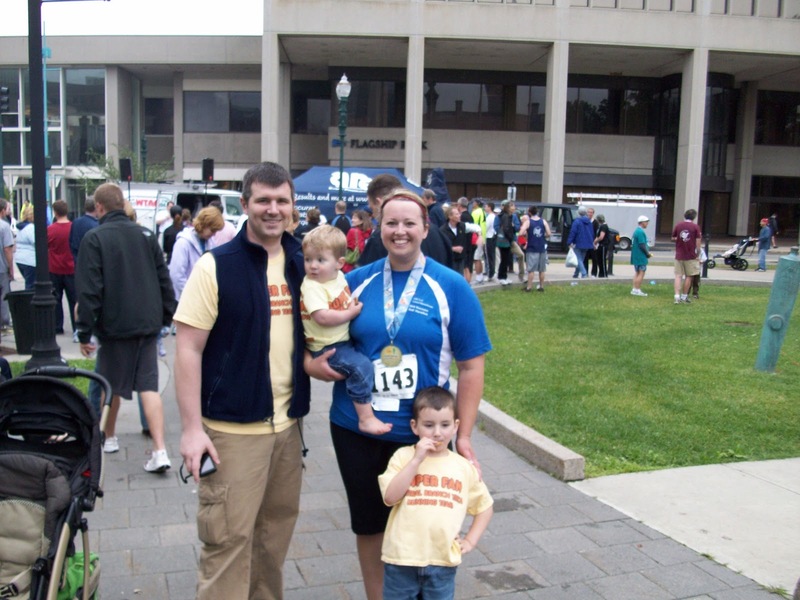 I, kind of jokingly, said that we should write a joint blog about our trials and triumphs with getting fit (mainly running) while balancing family and life in general, but also just finding the motivation to be healthy. She thought it was a great idea and My Sole Sister was born. Never one to be left out, #4 said she wanted in on the action as well. I'm really excited about what it can be with the three of us adding our own perspectives and little slices of life, and I hope you'll follow along. My sister posted about the 'one little word' concept last year, and I noticed she was doing it again this year. I had struggled back and forth with what my resolution would be this year because there are so many things I'm working on; training for and completing a marathon (huge! ), working on one knitting project at a time (I tend to get ahead of myself), getting my house organized (and staying that way), signing up for at least one race a month from March to November, by which time I hope to have shed the last 50 pounds I still want to, and be knocked up again. Be a present and mindful mother and wife instead of someone who's just 'there' a lot. Make healthful meal choices for myself and my family, even when the chinese take-out menus and pizza delivery boys are singing to me, at least five days a week. How to sum that all up in one resolution? I know! How about instead of trying to use lots of words, I'll just pick one. There will be a lot of roadblocks, and excuses along the way I'm quite sure, but in the end I want to cross that finish line, bind off one by one, and most of all, be a good example to my kids about how you can have what you want if you're willing to work for it in spite of all the things that make what you want really, really hard to get. But more importantly, that you can still have a life outside of your goals. My husband is the inspiration for this word as whatever he sets out to do, he gets it done. He read the entire Shelby Foote Civil War series line by line, page by page in the space of less than a year. That's a million and a half words on over three thousand pages. He completed Ranger School, and then hung around with those boys for another four years. He muscled through eleven years of higher education to get his first 'real' job. He's becoming quite the accomplished 'car stealer' on Grand Theft Auto (okay, so I won't count that one). He's been married to me for almost eight years, for crying out loud; I bet he'll say that one was the hardest. Perseverance folks. And this year, I'm gonna get mine. Perseverance.